I'M NOT REFERRING TO ABDULLAH BADAWI - BUT ABDULLAH JUNID, BLESS HIS SOUL, FOR TAKING THE WORDS RIGHT OUT OF MY DEEP UNCONSCIOUS AND MAKING THEM PUBLIC VIA MALAYSIAKINI! 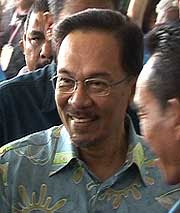 I refer to the Malaysiakini article Is Anwar the great reformer?. 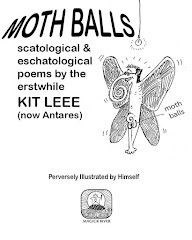 I have often enjoyed reading Manjit’s writings. Although I don't find his views particularly insightful, often verging on stating the obvious, his use of combative and pungent language makes for a very interesting and entertaining read. But like some other writers of an academic bent, Manjit is sometimes guilty of falling in love with his own bathwater. In the article referenced by this letter, Manjit is at his sneering, know-all best, lashing out at all and sundry from his no-doubt privileged perch atop some ivory tower. I really don't see the point he is trying to make, except to cynically mock those who are looking forward to a long-overdue change in Malaysia. It is a long, rambling article, but the point he seems to be making is that Anwar Ibrahim will probably be another in a long line of would-be reformers who, once they get into power, become part of the same old furniture. Well, considering that Manjit would not apparently be satisfied with anything short of a political Shangri-la, he will probably be proven correct in his own mind. Unfortunately, Manjit’s views are rooted in the place he sits - the ivory tower. They apparently do not take into account what are called ground realities. As I stated earlier, it is a long article and my purpose here is not to get into a point-by-point rebuttal or argument with everything he wrote. But I would like to just talk about one particular passage. He states: "I've been listening to and reading Anwar's speeches. All I have heard and read so far is rhetoric. Nothing more. There's no substance. Not yet. Perhaps the substance will come. It has to come, lest Anwar too becomes just another of those disingenuous Malaysian politicians from all sides who are good only at making a racket. Anwar needs broad-based support. 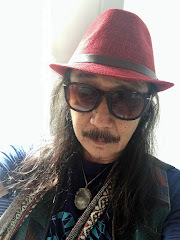 Whilst there is now a people-driven momentum gathering pace, as witnessed in Permatang Pauh, he still needs to bank on political crossovers from the BN coalition parties." I don't know what "substance" Manjit expects out of a politician who is not yet in power. Anwar has repeatedly outlined his vision of what Malaysia would be at ideological, philosophical and social levels should he come into power. He has also outlined, to the extent possible, an economic vision. I think Malaysians are quite aware of what Anwar is promising at a practical level. So unless Manjit expects Anwar to publish a book outlining all the technical things he would do at both macro and micro level in all fields of governance, I don't see the justification behind his sweeping and unsubstantiated claim that Anwar is just talk. As for his claim that "there is now a people-driven momentum gathering pace", my only question to Manjit is: Where were you for the last 10 years? This is not a people-driven momentum "gathering pace" - this is a people-driven momentum that has been well underway for a decade. That is why Manjit has been able to find a Malaysian forum in the form of Malaysiakini to be able to express his views for the last few years. 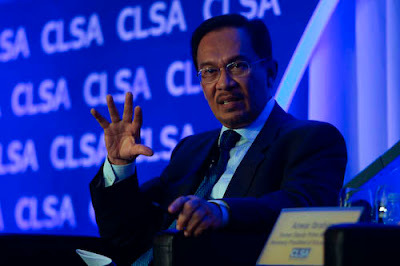 Is Anwar the great reformer? 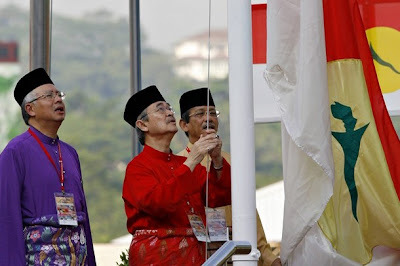 Whoah … the effusive cries amongst some commentators - and bloggers - of a new dawn in the politics of the long Umno-ruled Malaysia following the rise and rise of opposition PKR leader Anwar Ibrahim are too much. Too much. Some claim the promise of a new democracy is nigh. 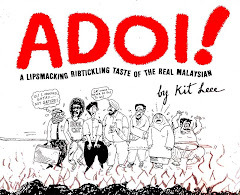 A new Merdeka, they say, is on the cusp of a new Malaysian history. And all because Anwar won the Permatang Pauh by-election quite convincingly from the much-vaunted Umno candidate (what's his name?). 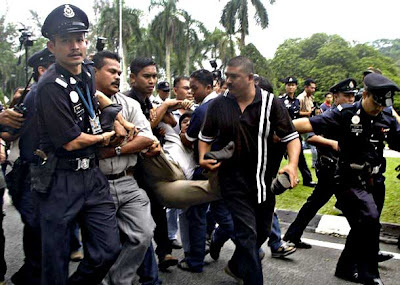 More, Anwar sent Prime Minister Abdullah Ahmad's suddenly filthy rich son-in-law, Umno MP and confidante, Khairy Jamaluddin, scampering with his tail between his legs and manure on his face. Today Malaysians are waiting with almost bated breath for September 16. Apparently, on this day, Anwar, with help from sitting (and non-sitting) politicians in the ruling Barisan Nasional, will topple the regime, headed by the dreadfully useless and pathetic Abdullah and the entirely racist, bungling, corrupt and morally bankrupt Umno. With that Anwar will usurp national power. He will turn a severely bastardised parliamentary democracy, replete with all manner of laws that approximates it to a Stalinist-like political system since the May 13 1969 race riots, into a flowering, full-blown, truly multi-racial democracy - with Malaysian characteristics of course. 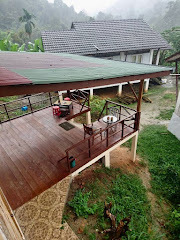 It would not surprise me if some Malaysians, in their manic over-enthusiasm of the prospect of the birth of a politically transformed country, start reciting passages of wild and wooly promises from Francis Fukuyama's early tome 'The End of History and the Last Man' and passages from the perennially heady New York Times' columnist and author Thomas Friedman's 'The Lexus and the Olive Tree' - passages such as this one by Friedman: "America [Malaysia], at its best, is not just a country. It's a spiritual value and role model." Yikes. Such utterly ridiculous and completely nauseating evangelical sermons, like those one hears in all organized religions, are best reserved for countries such as Zimbabwe, ruled by one of the world's most vile thugs, tyrants, kleptomaniacs, racists and murderers, Robert Mugabe. P.S. AND THANK YOU, TOO, JUDGE S.M. KOMATHY SUPPIAH, FOR UPHOLDING JUSTICE! My parent fought against the Japanese during the occupation. Many of their chinese friends died at the hands of the Japanese. Yes they were protecting their own interests in this country. They could have run away but instead they fought because they have made this country their interest. Can you tell them that they only tumpang in this country? Can't they get some respect? Also there is no such thing as economic hegemony. As long as you learn hard and work hard, you can survive and may achieve success in the real world. For those who have been assisted by the government for the last 30 years, if you are still facing economic problems, then some thing is very wrong in this country.